Rice is beating ODU by 14 in the 4th quarter Update:Rice won by 20 points. 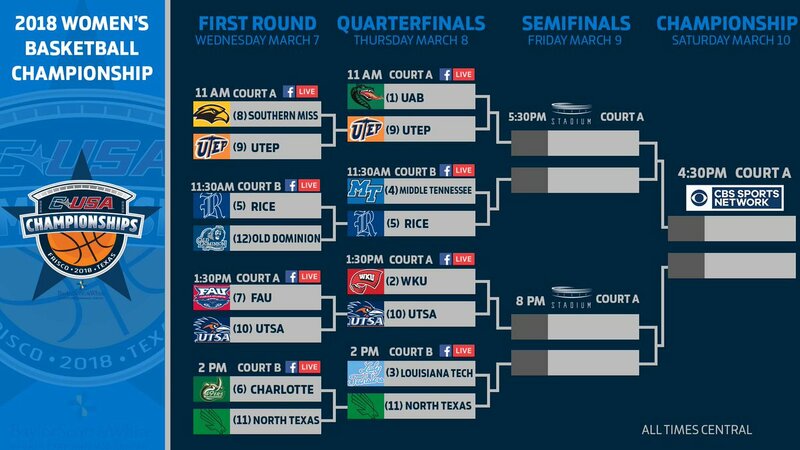 North Texas and Charlotte play at 2pm today to determine which team will play us tomorrow. #11 seed North Texas is up by 11 points over Charlotte at half time. NT up by 6 with 4 minutes left. NT won. In fact, all Texas women's teams won. North Texas upsets Charlotte!!!!!!!!!!! We will play North Texas tomorrow at 2pm. All the Texas teams won? Hmmmm.... this is CUSA again, having the refs cheat to try to assure decent attendance. We are toast! And we will take care of the women today!!!!!!!!!!! no doubt!
. 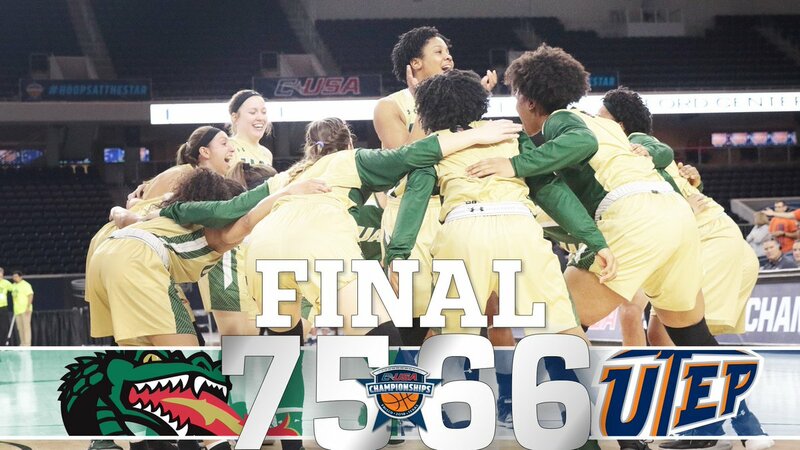 @UAB_WBB is headed to the semifinals! They will take on the winner of Middle Tennessee and Rice tomorrow at 5:30pm CT! Rice beats Middle Tennessee and will play UAB tomorrow. Who's got a link for the Live FB feed? Since I tuned in we've had three fouls called on us, and they are hacking away and nothing being called. Techsters leading 13-11 about mid way through the 1st QTR!